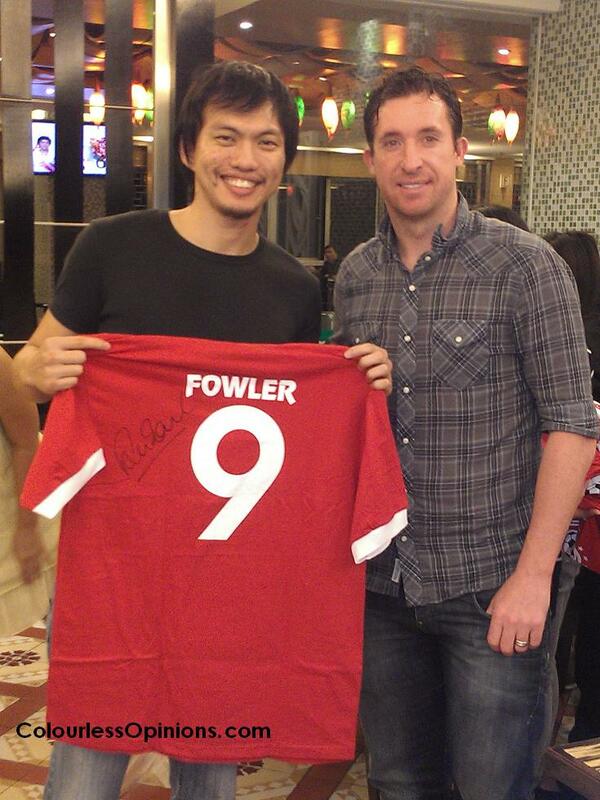 Game On at Genting – Battle of Europe is giving all football fans an opportunity to meet and greet with Liverpool legend, Robbie Fowler. He’ll be in Genting Highlands until the end of Euro Cup 2012, catching 16 of the matches with all Genting WorldCard members. 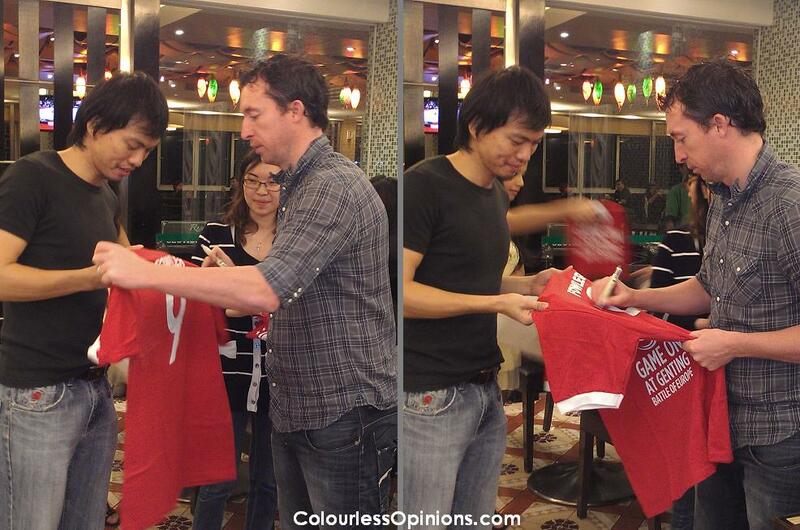 Thanks to Nuffnang and Genting, not only did I get to watch the matches live the Genting International Showroom (GISR), I actually had dinner with the man as well. I didn’t even notice he was seated at the area of where I brought to for dinner (Resort Cafe Restaurant Kampong) and when I did, I was quite shocked because there was no bodyguard or any barriers at all. 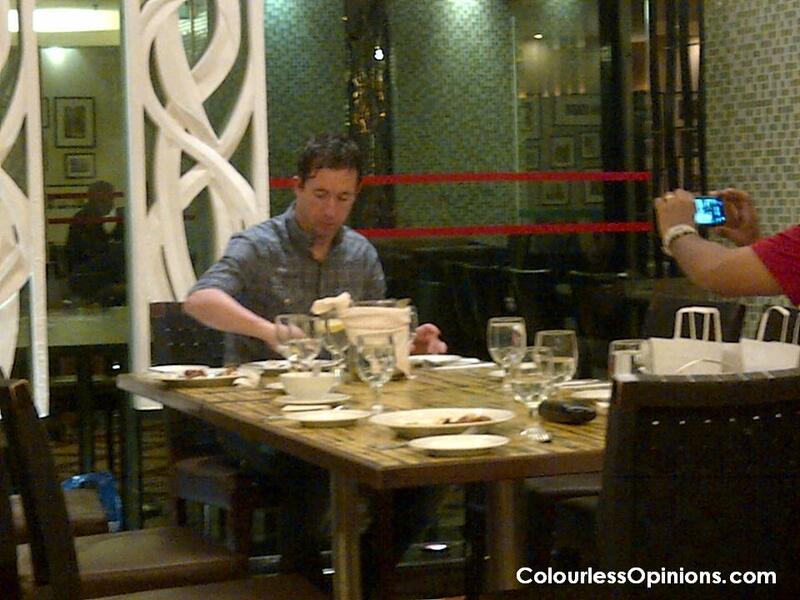 He was just sitting there, eating and chatting with the few people at his table. At first, I was very surprised that nobody actually went to him for an autograph but when the people from the outside saw him, a swarm of them came in and took photographs of and with him. He didn’t really seem like a very sociable person so I just sat at the table across and just have my meal, awkwardly. I was later told that he was sick on that day and that he’s actually quite a shy guy. the club I support) and also his admirable sportsmanship? Watching the games live at the GISR was a fantastic experience for me compared to the previous uncommon football match-viewing experience I had. The sound quality is pretty good and the displays are huge and sharp. There’s also a smaller screen on each of the walls between the front that was showing the other match that was playing at the same time. It’s spacious, the environment is comfortable and the weather is naturally cold (which I totally underestimated). 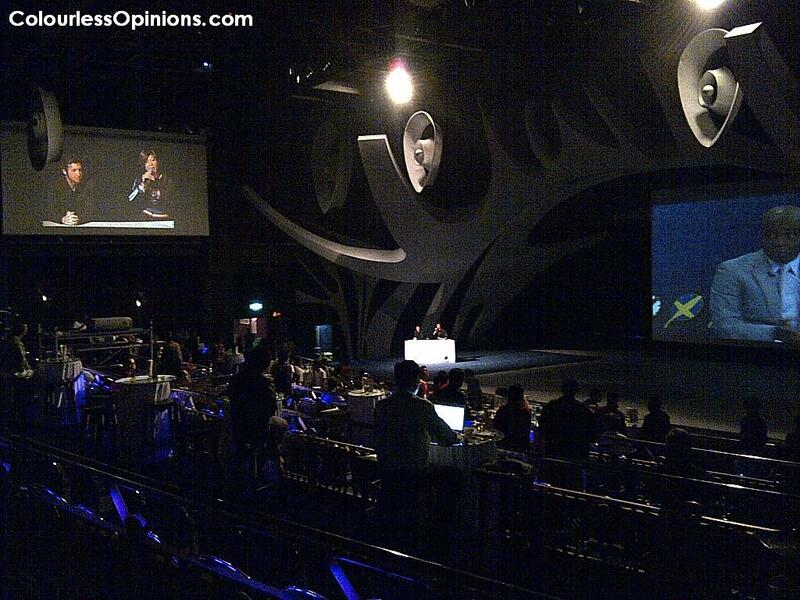 The viewers can choose to be seated on the chairs or the high tables with stools. 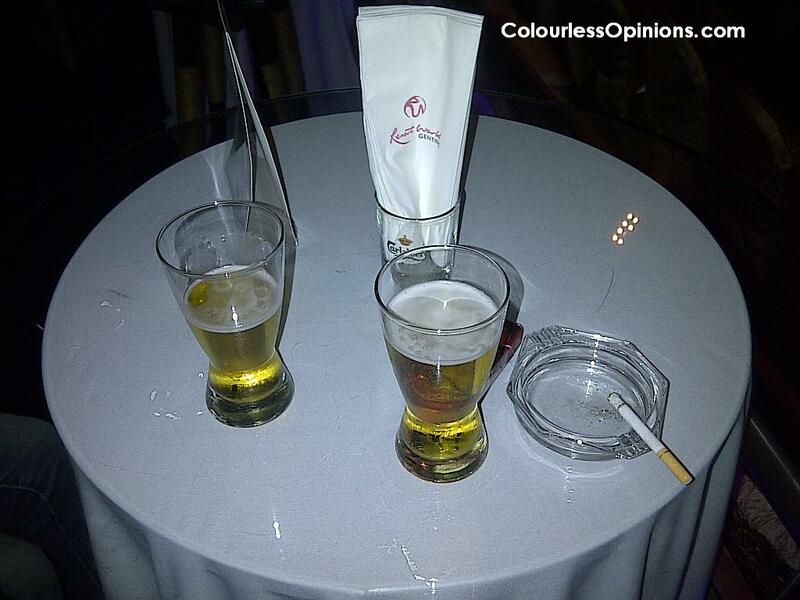 Each WorldCard holder is also entitled for one free glass of beer. Should there be any orders for more drinks, viewers can call for the staffs at every row. The best part of all, viewers can smoke in there. I’m already considering to catch the final here again. However, in case you were misled, Fowler is not commentating the matches live. He’s only giving some personal thoughts of the matches right before the game starts and during halftime. The good thing is that viewers can approach him for pictures and autographs when he’s off the stage. The local female host/emcee with him was a little annoying due to her poor English and obvious lack of knowledge in football but I can understand that it’s never an easy task to speak in the languages one’s uncomfortable with and then translate everything to Chinese on the spot. The crowd was very unresponsive towards everything she said until the free autographed t-shirts made appearance. I felt kinda embarrassed to have witnessed this. 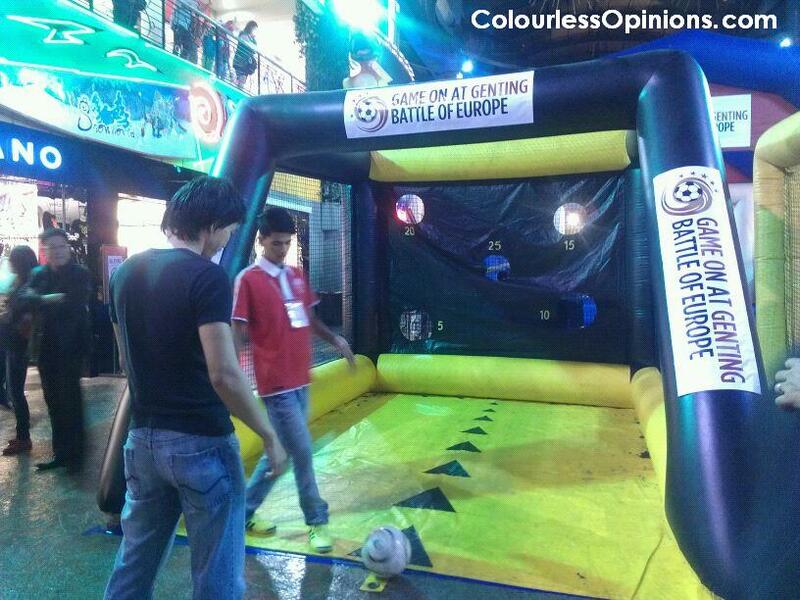 In conjunction with Game On at Genting – Battle of Europe, a little Football Village is built at the Universal Walk of First World Plaza where all WorldCard members can queue up to take on the mini football challenges and win prizes. I tried and failed but it definitely won’t be difficult for those who play football or futsal often. If you failed, you can queue up to try again, as many times as you please. The easiest game for me there was the speed challenge, which all I had to do was kick the ball as hard as I could to the front. The target was 90km/hour but I only managed 70 plus. I guess learning Muay Thai and MMA doesn’t make me a great ball kicker. Such honour if I can also go for this event..